It was another glorious victory for the Mighty Avengers. Good triumphed over evil and Ultron was shot into space, never to be seen again. Or so they thought. Now, years later, the homicidal artificial intelligence -- so long devoted to ending life on Earth -- has found a new world to conquer...one with its own horrific legacy. When Titan, birthplace of Thanos, falls, Planet Ultron rises in its place! 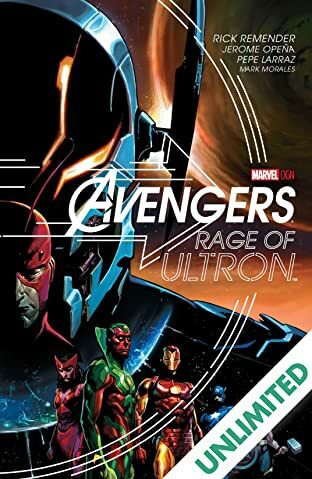 Thanos' brother Starfox must seek the aid of his former allies -- but the Avengers he finds are radically different from the ones he once knew. 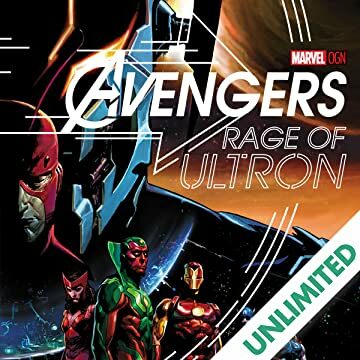 Among them is Ultron's creator Giant-Man -- and when Hank Pym confronts his now planet-sized "son," the responsibilities of fatherhood have never loomed so large.